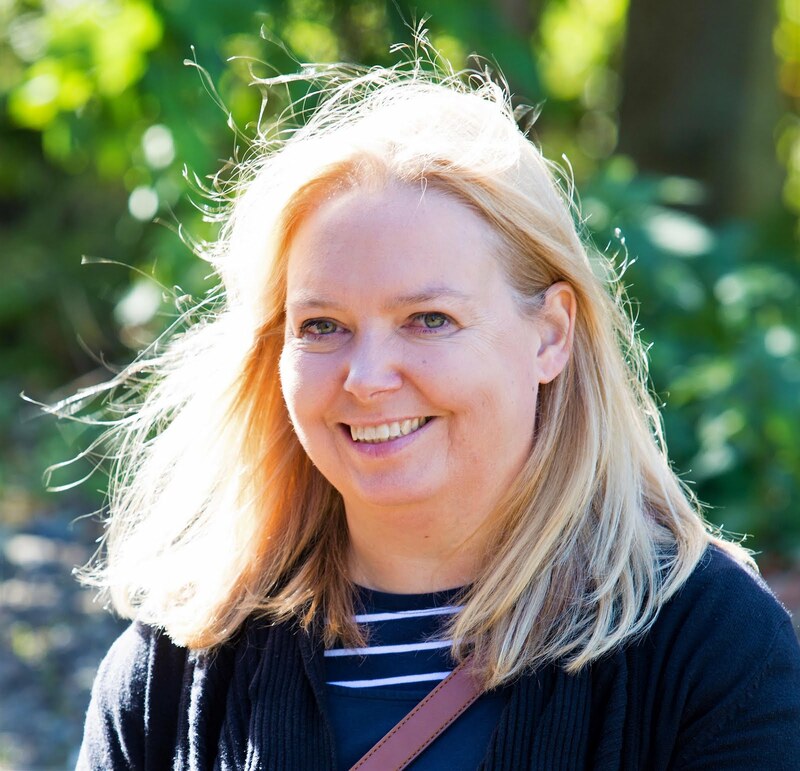 Step back in time with Brick Dinos is what the promotional material says and that is indeed what we did when we headed to Woodhorn Museum on the opening weekend of this new exhibition in Ashington, Northumberland. Combining two of my boys most favourite things ever – dinosaurs and LEGO - I was pretty sure they were going to enjoy the day! For anyone who hasn’t been, Woodhorn was a working coal mine before fully closing in 1986. Located just 20 miles north of Newcastle-upon-Tyne, it re-opened as a museum in 1989 but 10 years ago it was transformed into what is now a place where you can discover 800 years of history and experience events and exhibitions such as Brick Dinos. Brick Dinos is exactly what it sounds like. 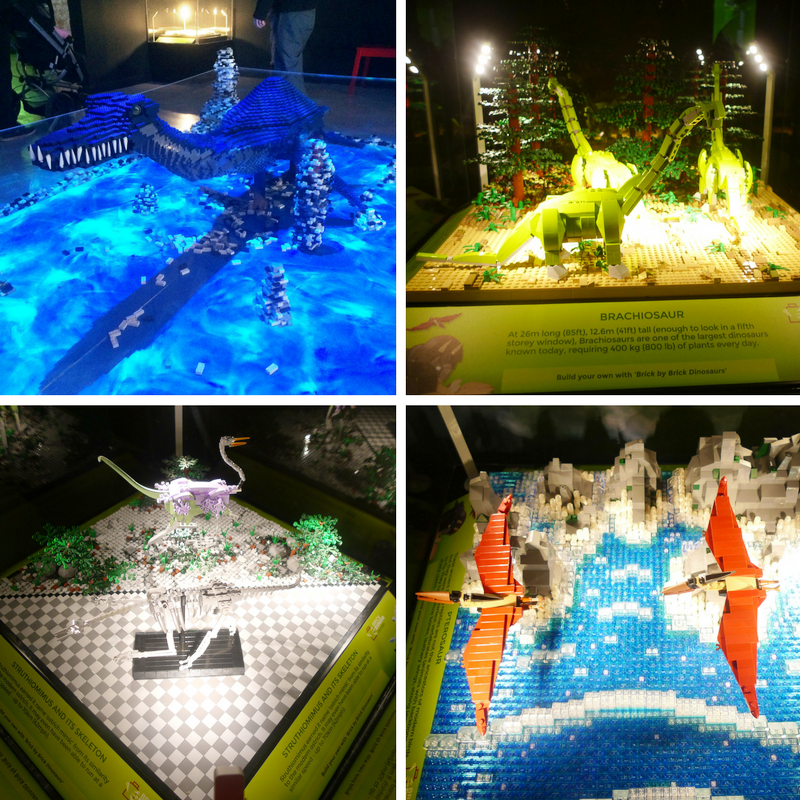 An exhibition of dinosaurs built using LEGO® bricks. Where you come face to face with dinosaurs from the air, sea and land and where you can even compare yourself to those that roamed the Earth millions of years ago. Their feet really were massive! Working in collaboration with a palaeontologist, artist Warren Elsmore and his team have painstakingly recreated some of the largest beasts to ever walk this earth in miniature LEGO® form from the famous T-Rex to the awesome Pterodactyl. My favourites were there - the Stegosaurus & Diplodocus - but there were also many dinosaurs that I’d not heard of before. It’s not just LEGO models, though. There are so many amazing facts about dinosaurs that my boys loved reading, as well as screens partly showing how they had been created. The boys also watched the entirety of the film which showed the making of the exhibition – much of it timelapse! This may not appeal as much to littler ones but my boys (of all ages) were glued to the screen. The exhibition area is split into two sections. To the left, as you enter is the part where the dinosaurs are on show. Then to the right of the entrance is the shop, well stocked with Dinosaur and LEGO goodies, and also the really well put together and interesting interactive area. Here you can dig for dinosaur bones in the sand pit, build brick dinos in the soft play, create your own dinosaur from LEGO® bricks to add to the Jurassic landscape, size your feet against a dinosaur footprint, add to the mosaic dinosaur, which was incredibly therapeutic to do as an adult! And have your picture taken in a large cutout. All in all, we probably spent as much time in the interactive section of the exhibition itself and my boys are 7 & 9. All the activities were clearly labelled with suitable ages and easy to follow rules too, to keep everyone safe and happy. You can also pick up a self-led trail sheet and explore the buildings at Woodhorn to discover more fascinating facts about dinosaurs. The Dino Trail is free as part of Brick Dinos exhibition. Away from the exhibition we then headed to the new Cutter building. It is stunning. 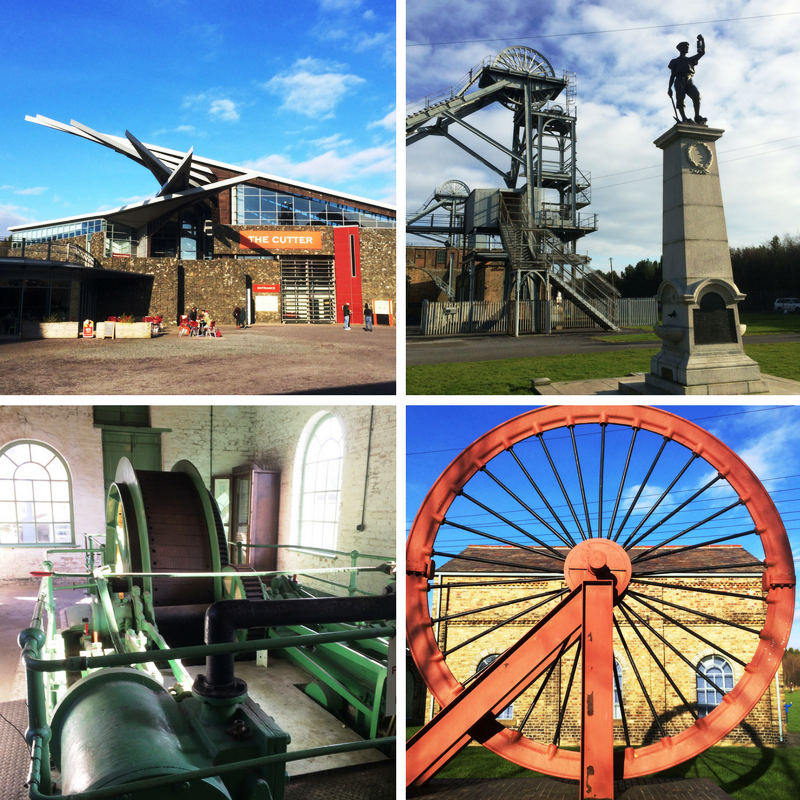 Inspired by monster coal cutting machines, and with the original colliery buildings it tells the story of Northumberland through fascinating, emotive displays, miners' paintings, an exciting changing exhibition programme, and Northumberland's amazing archival "treasures". The Coal Town exhibition is interactive too with audio commentary and wacky pigeon races which the boys enjoyed playing. Inside this building is also where the Pitman Painters exhibits can be found. Both of my boys have dome projects on this at school so I was keen for them to discover the special collection of art and the story of the miners whose paintings of everyday life above and below the ground are on display giving a unique insight into social history. The site is recognised as a Scheduled Ancient Monument and it is the best surviving example of a late 19th/early 20th-century colliery in the North East tradition. We had a great time looking in all of the outer colliery buildings too. The boys' great-grandfather was a coal miner at nearby Lynemouth and Newbiggin pits so they were fascinated by the history of the coal mines. For February we were blessed with lovely, sunny weather so the boys took full advantage of the adventure playground and also played a little football on the grassy area too. In the town that’s the home of the footballing Charlton brothers, it was very fitting! As an exhibition Brick Dinos is entertaining, educational, fun and inspiring too. We got home and the box full of LEGO was the first thing they wanted to play with. We arrived early at just after 10 am on a Sunday morning, which meant the exhibition was pretty empty in comparison to how busy it was (with small queues at the entrance) later in the day, however the staff seemed very efficient at managing the queues and with so many other free activities available at Woodhorn this really shouldn't be an issue. A family ticket for us would have cost £15.50 plus the parking charge. The exhibition on its own doesn’t fill a whole day, but with all the other free activities on offer at Woodhorn, it does make for a fun family day out. 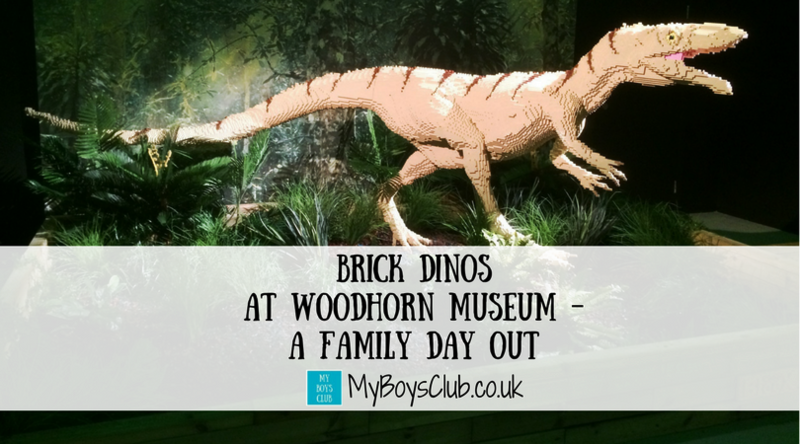 Brick Dinos will run at Woodhorn until Sunday, June 4, 2017. The museum is open Wednesday through Sunday, plus Monday and Tuesday during Northumberland school holidays, from 10 am to 4 pm (5 pm from April). Have you been to see Brick Dinos? What did you think? This sounds like a great day out for the family. Like yours, my children love Lego, and having a dinosaur theme would make it extra fun. I grew up in a coal-mining area myself (south Wales), so I'd be really interested in the mining exhibition. Thanks for linking up with #CulturedKids! Thanks for your comment. Sounds like you would enjoy it too. I told Arlo about this and he said 'can we go' then 'when' so I guess we'll be going soon too! We went on the 1st Sunday. Children aged 3 and 5. We found it poor value for money. £12.50 entry on top of £3.50 parking?? We were in 20 mins at most and that was reading every bit of information and sending the 5 year old back around to take photos. It's a very small exhibition that I have no doubt took hours to build but we spent more time in the free activities than we did the exhibit. Disappointed. I guess all children enjoy different things. My boys are older so maybe that makes a difference but they had a really lovely time.